If your coolant isn’t functioning properly, your engine is at risk for significant damage. As such, it is recommended that you have your coolant checked every time you get your oil changed. Deposits. Over time, contaminants such as rust, grime and dirt can collect in your vehicle. If any of these pollutants make their way into your cooling system, you’ll quickly encounter some major mechanical issues. 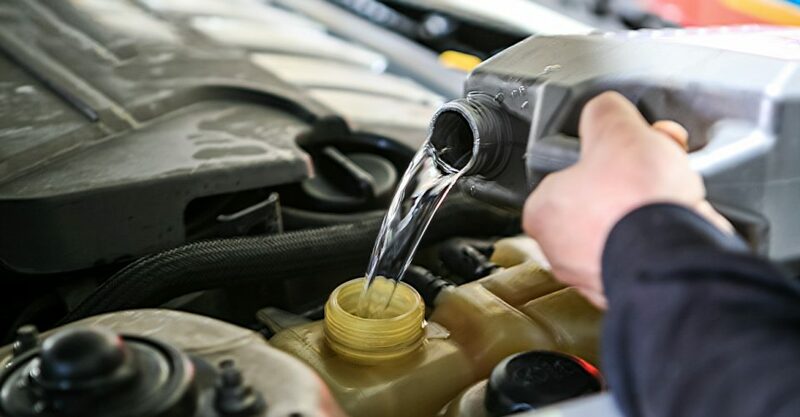 As it flows through your system, radiator fluid can leave deposits behind that include minerals and contaminants which can produce clogs that prevent coolant from reaching every part it needs to. This will lead to breakdowns within your cooling system. pH Balance. As a fluid ages, its pH balance tends to shift. Radiator fluid or coolant become overly acidic which leads to the erosion of cooling system components, some of which are delicate. Parts and seals that are made out of rubber face the greatest threat as gaskets, hoses and the heater core become at-risk. The radiator itself can even potentially be damaged by acidic fluid. Rust. Much like your vehicle’s body will begin to corrode after a while, the components comprising your cooling system can have rust issues if not properly maintained. If your coolant becomes contaminated or spent, the rusting process can be expedited as oxidization proliferates at a rapid rate. If your coolant is regularly flushed, this can be avoided. As always, the best way to combat any potential problems any system in your vehicle may encounter is to keep up with its scheduled preventative maintenance plan. The ASE-certified technicians here at D’s Auto & Truck Repair are happy to work with car owners to set up a proactive maintenance plan that will keep their vehicle running at an optimal level year-round – call us at 616-796-9929 for more info!